mwe3: Why do you call your new CD Forgotten Road and how do you feel it follows up from your approach first solo album Distant Sun? Is there a concept on Forgotten Sun or a different approach this time? Eamonn Karran: Forgotten Road for me personally is the perfect title as it relates to so much that has happened over the past few years. The track itself was conceived after my mother passed away in October 2013. Whilst sorting out many of her and my late aunt Jean’s possessions I came across sentimental items that I never knew existed, cards, photos and written accounts of their youth. This forgotten journey was upsetting but also wonderful to read and experience, almost like I was there in their shoes and led to me creating this slightly melancholic piece. As a follow up album to Distant Sun, Forgotten Road is much more of a piano based album, my primary instrument. When I first started developing ideas for Forgotten Road my aim was to go back to my roots and create something that was a “piano” album without being too cliché, I didn’t want it to sound like any other artist, it had to have my own sound and include my passion for ambient synth soundscapes mixed with traditional Celtic instruments. In some ways it is a natural follow up to Distant Sun but in others it is a completely independent album that I believe stands on its own and has a more mature sound in both performance and production. mwe3: Describe the song writing process. Do you pull ideas out of the air or do you have a specific intent when you compose? Does your frame of mind often decide if it’s gonna be a sad or stately or a celestial kind of melody? Eamonn Karran: I compose entirely from feelings and emotion so as the moment happens I usually dive for the piano or if I’m out I’ll hum the melody into my phone!!. I always find myself hearing a certain chord or note progression and that’s where most tracks start. My frame of mind has a big influence on how the track flows and I have been told by listeners that they pick up on a certain emotion whilst listening to tracks; it’s a wonderful compliment as I like to convey to the listener what I was feeling at the time the song was conceived. mwe3: Is there something new in the gear world for you? Tell us about some of the musical equipment you used on Forgotten Road. Have you found that perfect piano yet? Steinway could use a good man like you! 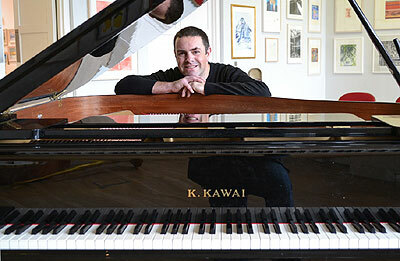 Eamonn Karran: Steinway! Yes they can approach me any day!, I wish I could represent them on a world scale, unfortunately I’ve never had the pleasure of playing one of their pianos but you never know what the future holds, please call around anytime! I am more or less using the same equipment used on Distant Sun; Yamaha P105 piano, Yamaha MO6 workstation, Focusrite Audio interface, Reaper DAW, I have dabbled with a few VST’s over the last 2 years namely Pianoteq 5, Celtic Instruments Uileann pipes, Alchemy, which is fantastic, Orange Tree flutes, Miroslav Philharmonik, Sampletank and a selection of samples and loops to try and boost my sound but find myself drifting back to my trusty keyboards for inspiration. I’ve learned a lot since Distant Sun, especially regarding quality of production and placement of instruments in the mix and applied these lessons when producing Forgotten Road. I have always been a little old fashioned being a big fan of recording all my parts live audio but I do agree there is an argument for using midi instruments. It certainly speeds up the recording process but I do think the tracks lose their natural feel. I have yet to find a VST piano that would come close to playing an acoustic or good quality digital piano; they all seem to be deficient in too many areas. I’m happy with the sound the P105 is producing, it’s received some amazing compliments about how natural it sounds but I would love, if possible, to be able to record future albums acoustically, maybe Steinway could look after this for me…. mwe3: The first track “Fairy Dance” sets an intriguing opening tone. Just the first three notes set the sound. How do you feel “Fairy Dance” evokes the Forgotten Road spirit? Eamonn Karran: “Fairy Dance was inspired by stories I was told as a kid about Fairy Rings or Fairy Trees. Irish folklore is steeped in tales of these mysterious trees that must never be cut down or harmed as they bring untold bad luck and I was always fascinated by the stories. This particular track was intended to create a mystical Celt sound that evokes thoughts and memories of times gone by, of sitting and listening to my peers as tales are told. This is all part of the “Forgotten Road” spirit of looking back at my past and the past of others so that I can pass this on to my own children. mwe3: When did you write the music on Forgotten Road and where and when was the album recorded? 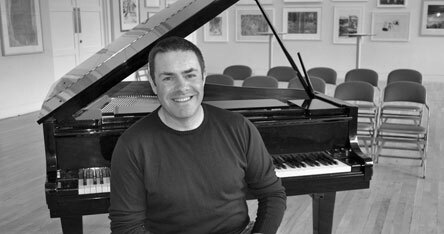 Eamonn Karran: March 2013 I began working on Forgotten Road. By this stage Distant Sun was complete and I had quite a few ideas for this album. I didn’t want another Distant Sun, mainly because I wanted to show that I am equally competent at solo piano pieces as producing bigger ambient tracks. After toying with a few VST’s and getting nowhere I decided to go back and completely start the album from scratch using the P105/MO6. As I can’t read music and nothing is actually scripted, I was putting down chord progressions and melody ideas day by day and gradually building the tracks. I had about 7 fixed melodies that I knew I had to use so it was a matter of combining my ideas and creating full pieces. I record everything at home, nothing too extravagant at the moment. I am working on opening a permanent studio so I am kind of in between studios at the moment but still able to work efficiently at home and create the sound I want. mwe3: The title track “Forgotten Road” offers a good indication of the album mood. It’s both upbeat and also reflective too. Is that the nature of Celtic music in general? There’s something deep and yet lighthearted at the same time? Tell us something about the Celtic influence and other Irish music on your music and what it means to you. Eamonn Karran: I do enjoy listening to skilled Irish traditional musicians as there is a real soul in their playing; it’s not something that can be taught. Their use of chord progressions and the timings and harmonics of each instrument complimenting each other is incredibly emotional and has had a big influence on certain parts of my music. Throughout the 1980’s I enjoyed listening to Clannad and was astounded at how they managed to turn traditional music into something so magical and appealing to a much wider audience. Their use of rich synth pads, layered vocals blended with tribal beats and beautiful harmonics but still maintaining that Celtic sound made me think about what is possible and how you can take a certain genre of music and make it your own. With Forgotten Road I wanted to follow a similar path, not by copying any particular artist but to create an album that remains true to my Celtic roots but will add my love for both the piano and electronic ambient music. Strangely, I have actually had a few people who love heavy rock music say they love my deep reflective style! mwe3: Track 3 “Angel Of Tullagh Strand” is haunting. Is that other side of your music, the more ethereal, otherworldly side? It’s really cool and much more electronic in scope than the album’s more piano based tracks. Eamonn Karran: Yes it certainly is my alter ego!. If I was to throw together a mix of influences such as Phil Coulter, Yiruma, Clannad, Jean Michel Jarre and Mike Oldfield, then you will get an idea of how I came to compose this style of music. In the past I have created quite a few heavier electronic tracks along the lines of Jean Michel Jarre mainly to experiment with new sounds and samples and then combine these with my solo piano pieces. “Angel Of Tullagh Strand” is meant to convey the haunting beauty of Tullagh Bay, a beautiful beach in Donegal Ireland where I spent many happy childhood holidays. I decided to let my electronic side run free here and use a number of deep ambient sounds and samples to create something otherworldly. I love throwing tracks like this into the mix to show off the other side of my production skills and to give the listener something fresh and interesting to enjoy. mwe3: Track 4 “Beyond The Vale” is a return to the piano sound but there’s a very substantial melody at work here. Is the “Vale” somewhere really or in the mind? Eamonn Karran: “The Vale” is actually the veil of life, that fine curtain that separates us from our physical existence and our spiritual afterlife. Over the past few years I have begun to explore what I believe lies beyond our veil, what may happen to our souls once we pass on. I know this is quite deep but it is part of a journey that I am taking and has had a profound impact on my compositions. This track conveys the beauty of life through the piano melody and the mystery of the afterlife through the textures and pads accompanying the piano. I have had a few people ask what this track is about, it has generated a lot of positive interest in my music. mwe3: You lost your mother during the making of this new album. How much did that factor into the making of Forgotten Road and tell us something about your mom and what role she had on your music and life in general. Is making music a way to cope from these life changes? Eamonn Karran: Yes she passed quite suddenly in October 2013 and everything changed overnight. She was an incredible lady who loved what I am doing, she actively encouraged us all to take up music from a young age and I am forever grateful for that. Over the years she supported my every move and was so proud when I told her of my recording deal crying when she first heard the title track “Distant Sun” and its Uilleann pipes. I am happy she lived to see this happen. As a person she was your stereotypical Irish mom, kind with a heart as big as her personality, extremely proud of her family. She brought us up after my father passed away in 1986, so times were quite tough but we all grew up in a wonderful loving home and our different skills and talents were openly encouraged to flourish, I could never have asked for more. As for Forgotten Road, a number of tracks were quickly discarded and I began composing new versions of pieces such as “Hold My Hand”, “Beyond The Vale”, “Forgotten Road” and The Last Dance”, so in many ways this album is a testament to our mom and her life and how her passing has so greatly affected us all. mwe3: “Crest Of Life” is kind of upbeat. It almost has a rock or pop melody. I’m glad it’s an instrumental but I could almost imagine someone singing words to it. Does “Crest Of Life” conjure a kind of pop melody in your mind? Eamonn Karran: This is certainly a livelier piece. “Crest Of Life” is about reaching that point in my life were I’m finally doing what I love most. It’s a happier more upbeat track than most of the others on the album to lift the mood slightly. It’s also interesting that you say this has a pop feel to it as it is heavily influenced by the work of Yiruma who has composed some amazing melodic tracks that sound like they could be part of a bigger song or even have vocals accompany them. I would love to hear somebody’s interpretation of this track by adding lyrics and vocals. mwe3: “Kindred Souls” is another deep track. Kind of sad but in a positive way. Any story on that track? It does also feature some nice orchestral synth work too to offer some variety. Eamonn Karran: “Kindred Souls” is about realizing that you’ve met your soul mate. It is quite a deep track but that stems from the loss of my father at just 14. I simply sat down one day and during a moment of deep reflection I played this improvised piano part in one take. My mother always said there would never be another person like him and for me they are the true definition of soul mates. I am blessed to have met my soul mate in my wife and this feeling of being so lucky to have met such an incredible lady had a positive impact on the performance. So this is dedicated to those wonderful souls who have surrounded me in the past and continue to do so today. It’s the only piece performed using VST’s. I wanted to get a brighter more heavenly piano sound and this wasn’t possible on my piano so I used Pianoteq 5 for the solo and Alchemy for the orchestral sounds. mwe3: Track 7 “Hold My Hand” offers a kind of deja vu moment on Forgotten Road. Is that kind of the half way point of the album’s journey? I hear some echoes of Mark Knopfler and "Going Home" in the melody but clearly it must be a kind of classic Irish folk melody that is timeless. Is that track, even more than the others, a very Irish flavored kind of melody? Eamonn Karran: “Going Home” is a beautiful piece and yes I suppose “Hold My Hand” has that similar vibe but in actual fact this was influenced by a song called “Bygone Days” by violinist Eileen Ivers. Whilst my mother was seriously ill in hospital and was about to be operated on she asked my wife to walk beside her and hold her hand. This was a very poignant moment and these words stuck in my mind as she never regained consciousness after the operation. I was sitting listening to music a few weeks later and the melody for “Hold My Hand” was running through my mind and I knew I had to get this recorded, I wanted to record a piece that I knew she would love, she had a passion for Irish music and so “Hold My Hand” was born. It is a very important piece and is definitely a half way point as after she passed I decided to rewrite a lot of tracks prepared for Forgotten Road. mwe3: Track 8, “The Last Dance” has a unique kind of circular melody. Is that song a kind of change of direction on the Forgotten Road album? A more kind of jazzy track with just a slight touch of Irish melodic etchings. Eamonn Karran: I suppose this does stand out amongst the other tracks on the album. “The Last Dance” is more of a swinging track. My intention was to create a sound almost like a ghostly waltz melody that one might hear playing in a deserted dance hall bringing back happy memories of the past. This is the reason I felt it fitted with the Forgotten Road spirit. I tried to keep a certain Irish vibe going through this piece as we have a long history of generations celebrating their culture and music in dance halls throughout Ireland. Unfortunately most of these are now long gone and “The Last Dance” is a celebration of that love and passion for our music that has been passed down though many generations. mwe3: “An Grainan” has a cool title. Is there an English name or translation? I love the combination of the piano and synth background. Is that a new kind of sound for you and how does it fit into the Forgotten Road CD? It’s almost neoclassical in its scope. Are those real voices at the end? How did you create the pipes sound near the end of the piece? Heavenly stuff. Wow factor number 9. Eamonn Karran: “Grainan of Aileach” to give it its full title is a beautiful ancient ring fort situated on a hill top not far from my home. It’s a mysterious place with an incredible history. It has been used throughout the centuries as a base for Irish clans and has been something that has fascinated me since childhood. When standing in the center of the fort you can almost hear its past shouting from the stones. This piece was composed to convey the sheer power of the people that passed through this place; it was a place of battle, a place of celebration, a seat of power that shaped part of Ireland’s history. The voices are samples that I edited layered and reversed to give that haunting feel. The pipes/whistle are also samples but played live using Celtic Instruments VST. Like the instruments I would love to use live vocals for future albums, if space and equipment allows! I would love some day to perform this piece and others live at the fort using traditional musicians as it would make the most incredible backdrop for my music. mwe3: Track 10, “As The Foyle Gently Flows” is another heart tugging track with kind of a pop melody. Who plays the acoustic guitar on the track? What’s the Foyle? Another kind of deja vu moment but I can’t recall where the melody came from. Very original sounding track. Eamonn Karran: The Foyle is a river that flows through my home town Derry in Northern Ireland. It’s a beautiful place where I spent many happy childhood days and continue to take my family today. I am blessed to live so close to the ocean with some wonderful beaches on the banks of the Foyle only a few miles from home, so this piece is dedicated to this river which has played such a huge role in the lives of myself and many others. The guitar piece is from sampletank but is performed live over the track, I like to keep any virtual instruments feeling as natural as possible. I deliberately decided to build up the orchestration gradually throughout the track to keep the listeners attention, adding more layers of synth pads, Uilleann pipes and guitar . If studio space changes I hope to feature some acoustic instruments on future albums as I’m a huge fan of using real musicians and real instruments, I’m surrounded by some incredible players and it would be a blessing to get them into the studio. mwe3: “Ease My Mind” has a kind of folklore melody. Is it kind of neoclassical in its scope? Is that one of the more folkloristic tracks on the Forgotten Road CD? Did something trigger the melody for “Ease My Mind”? A great example of your combining piano and synth. 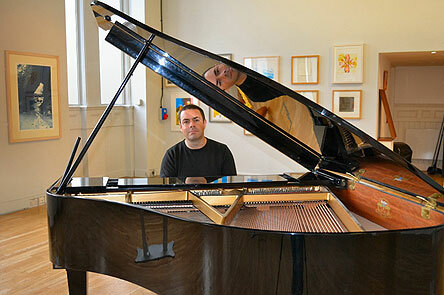 Eamonn Karran: “Ease My Mind” is actually an older piece and one of the first I created when I started recording. After a serious car accident 4 years ago I decided to dedicate my life to producing music that I loved, never realizing I would end up releasing my music! I was going through a tough time being out of work and not knowing what the future holds. I created a number of pieces during this time but my favorite is “Ease My Mind”, which is about a cry for help to ease the panic I felt about the future. Last year I made contact with a wonderful guy called Stephen Cairns from Piano Heaven. He loved my work but in particular he singled out “Ease My Mind” and asked why it hadn’t been released. Just around this time Real Music asked for an extra track for Forgotten Road and I decided on his advice to pitch this track. The original version wasn’t good enough quality for this album so I re-recorded everything and they immediately accepted it, so in actual fact this almost never made the grade! But I’m delighted it has. mwe3: “Fascination” closes the CD out on an air of hope in a way. It’s not sad or happy but kind of an invitation to enter the ether world so to speak. Although instrumental in scope, in your mind does it speak of better times to come? Eamonn Karran: “Fascination” represents my absolute love for all things paranormal, I’ve been this way since I was a kid and things haven’t changed! So it’s great you picked up on the ether world vibe. I’m fascinated by the existence of life beyond what we see. I deeply believe that we are not alone in this universe and this has had an impact on the sounds and textures that I use when composing. Some of my early music was classified as “space music” my many listeners and to me that’s a compliment and I continue to try and add that space feel to my piano tracks today. “Fascination” is the child in me, my imaginary journey into the deep recesses of our universe, a kind of floating piece that’s designed to take the listeners mind away to a more beautiful place. mwe3: Speaking of the future, are you hopeful or is that world too much to bear sometimes. Forgotten Road is a great way to lighten the hardships of the world, in that respect you’ve succeeded in making a great album. Eamonn Karran: Thank you so much. I’m extremely hopeful of the future. Working with an incredible label like Real Music has brought out the best in my music, their guidance and belief in what I do has been inspirational to say the least. Long before I was signed I listened to quite a few of their artists and it’s an honor to be working directly with them today. I believe that as a society we are becoming more and more aware of the spiritual benefits of music and its healing properties. I will continue to produce music for as long as others continue to enjoy it, that’s what I love most about this journey. Forgotten Road is a turning point for me as a pianist/composer and I look forward to future albums and exploring the use of different world instruments to compliment my solo pieces. Album three hasn’t yet begun and its completion will be a bit further down the line as I haven’t decided on its musical direction but it will be an exciting project to follow Forgotten Road.